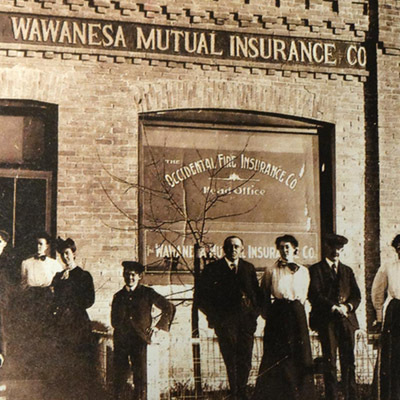 Wawanesa Insurance continues to grow and serve its policyholders in Canada and the United States, guided by the same values instilled in our company since 1896. 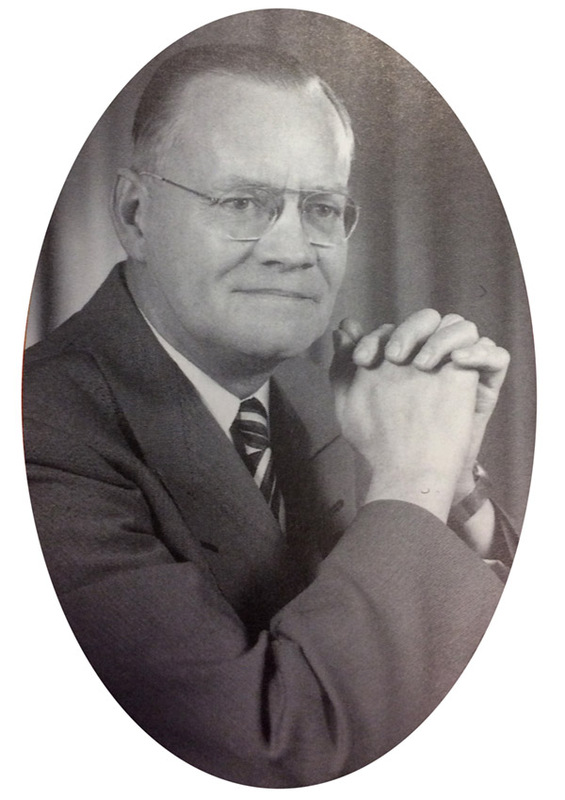 We hope you enjoy navigating through our history. 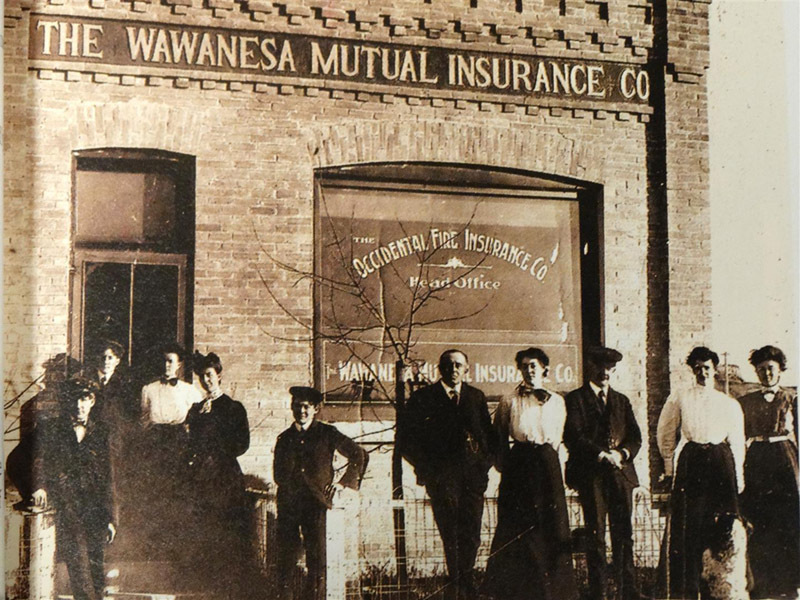 Wawanesa in late 19th c.
On September 25, 1896, The Wawanesa Mutual Insurance Company, created by and for farmers, was founded by Alonzo Fowler Kempton and Charles Kerr in the town of Wawanesa, Manitoba. 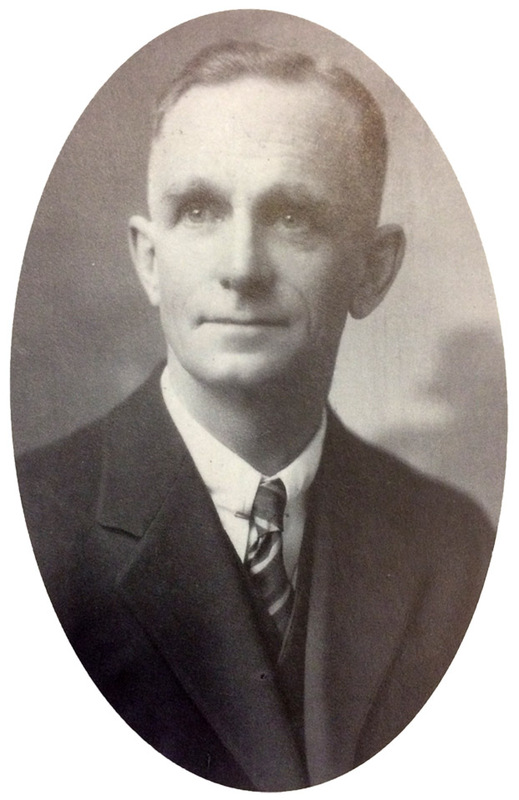 Two weeks later, Kerr hand wrote Policy No.1, insuring a thresher for $600 at a premium of $24 for three years. 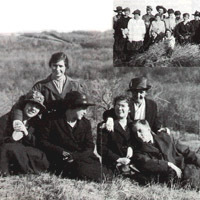 Western Canadians responded enthusiastically to the company's promise of lower costs and fair dealings. 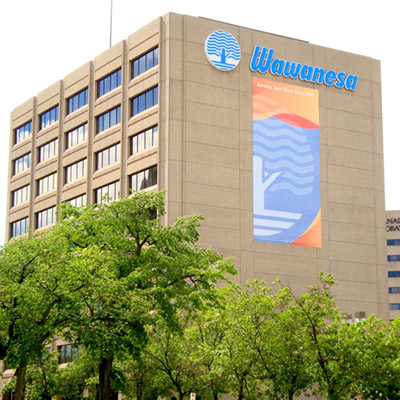 The value of property insured by Wawanesa jumped to $20 million. 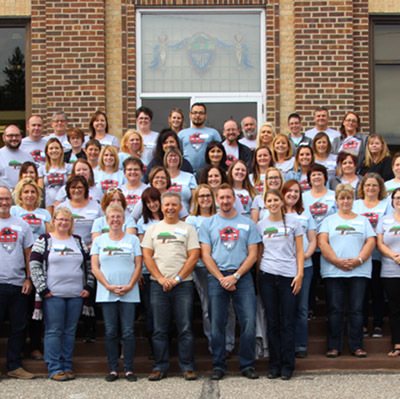 Three years later, Wawanesa boldly claimed to be "the largest Mutual Fire Insurance Company in Canada." 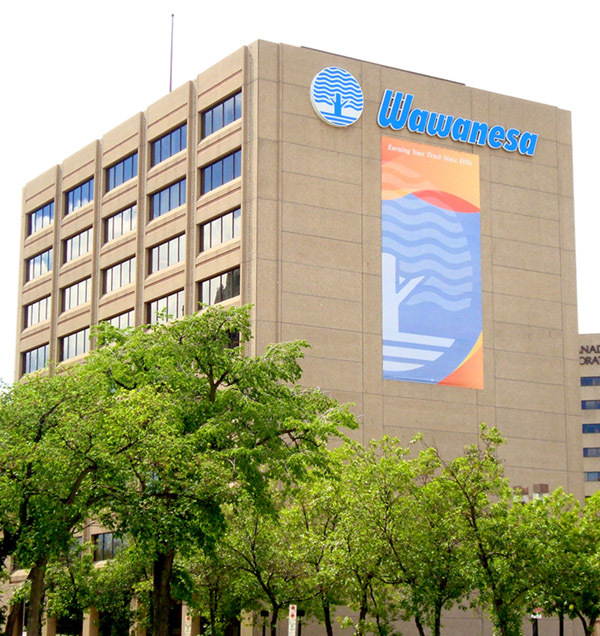 Wawanesa took a major step forward by offering, for the first time, coverage on private buildings in towns and cities. 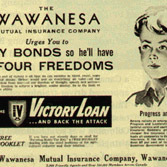 Two years later, diversification continued with insurance being offered on automobiles. 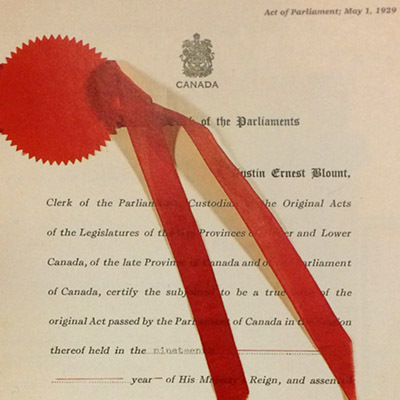 Wawanesa was granted a Dominion charter, allowing the company to, for the first time, offer coverage in every province in the Dominion of Canada. 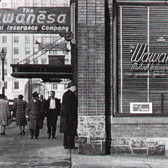 Wawanesa Insurance opened branch offices in Toronto, Ontario and Vancouver, British Columbia. 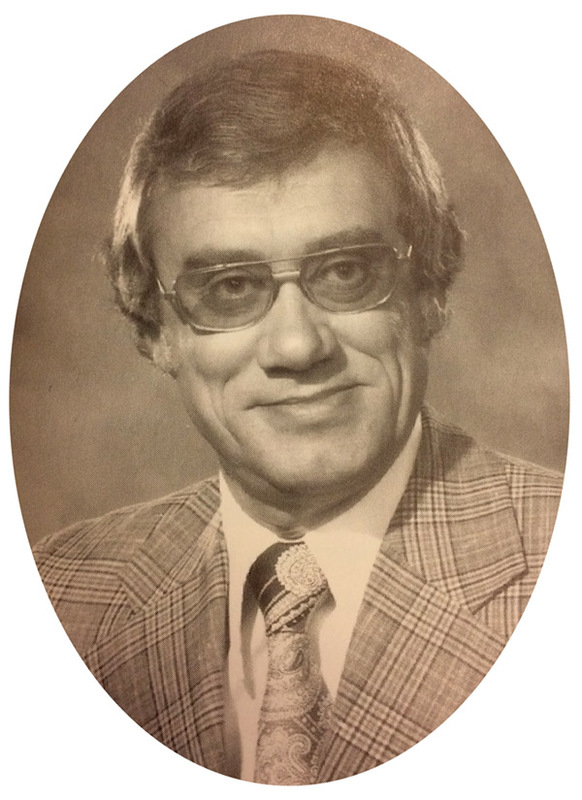 Within the next five years, branches were opened in Montréal, Winnipeg, and Moncton, giving Wawanesa coast-to-coast coverage in Canada. 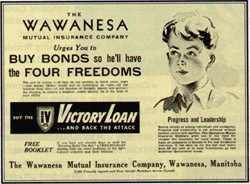 Throughout the Second World War, Wawanesa was a strong backer of Victory Bonds, encouraging all Canadians to support the war effort. 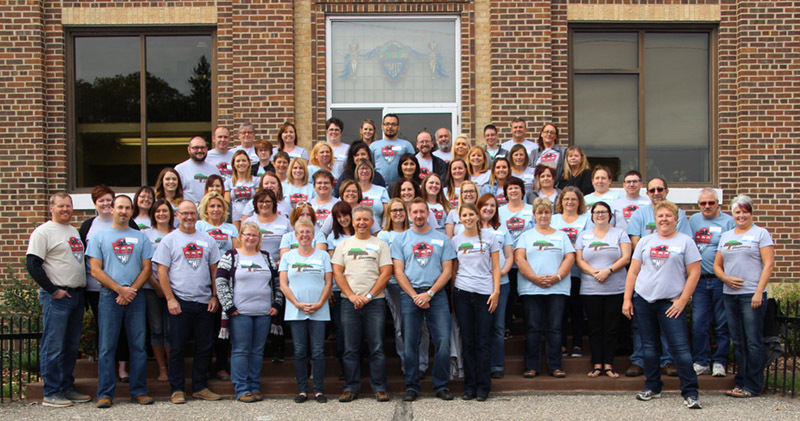 During both World Wars, Wawanesa's employees were committed to country and community. 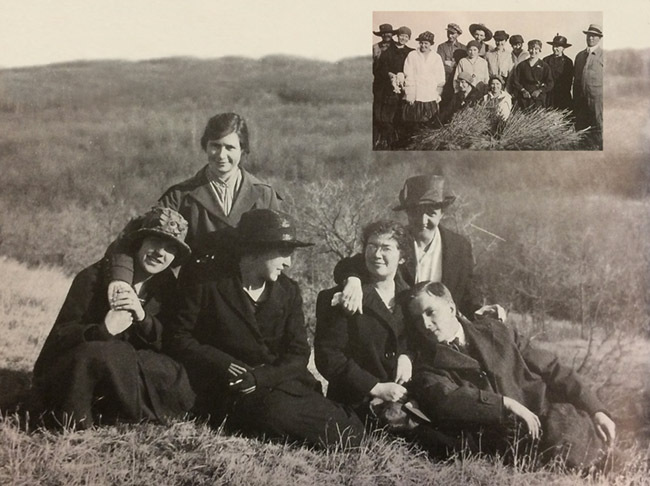 While many workers enlisted, female employees were excused from work to make gas masks. 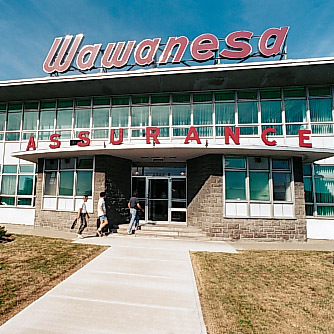 Twenty-two years after the first Wawanesa branch open in Montréal, Québec's mid-century modern main office was built at the junction of Décarie Boulevard and Metropolitan Expressway. 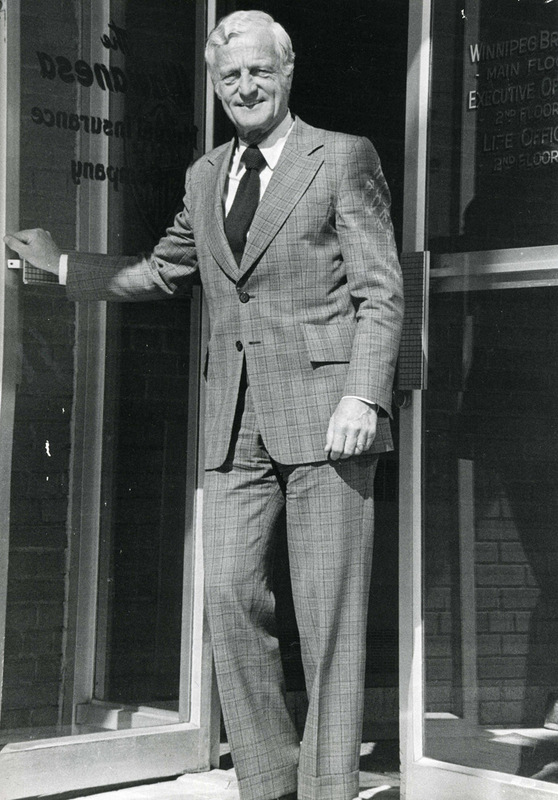 The building stood here for 45 years before being expanded in 1999 due to the company's growth. 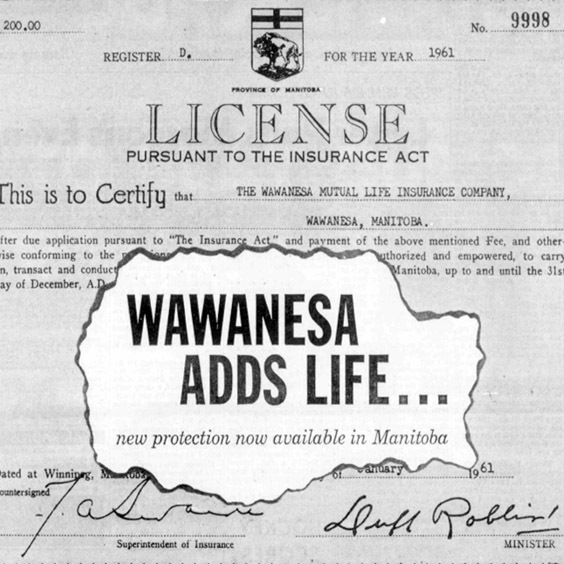 In the spring of 1961, The Wawanesa Mutual Life Insurance Company sold its first policy. 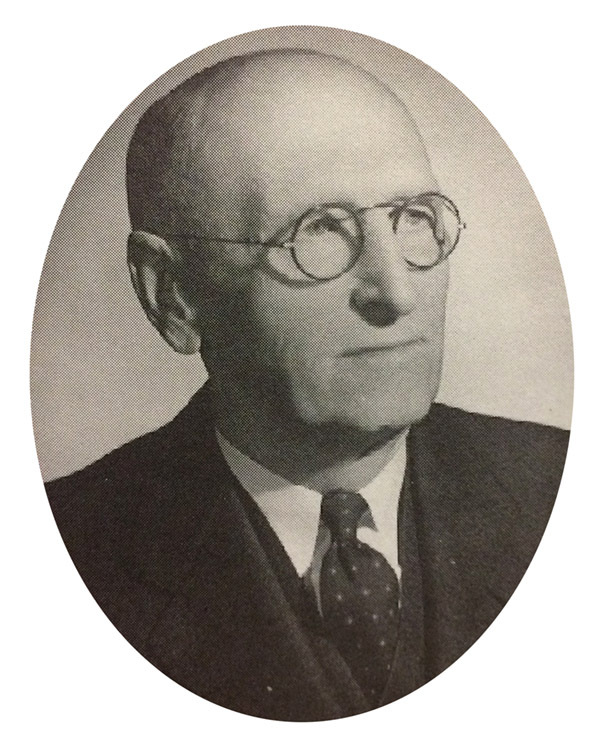 The next few years saw the steady growth both of the fledgling life insurance company and its parent general insurance company. 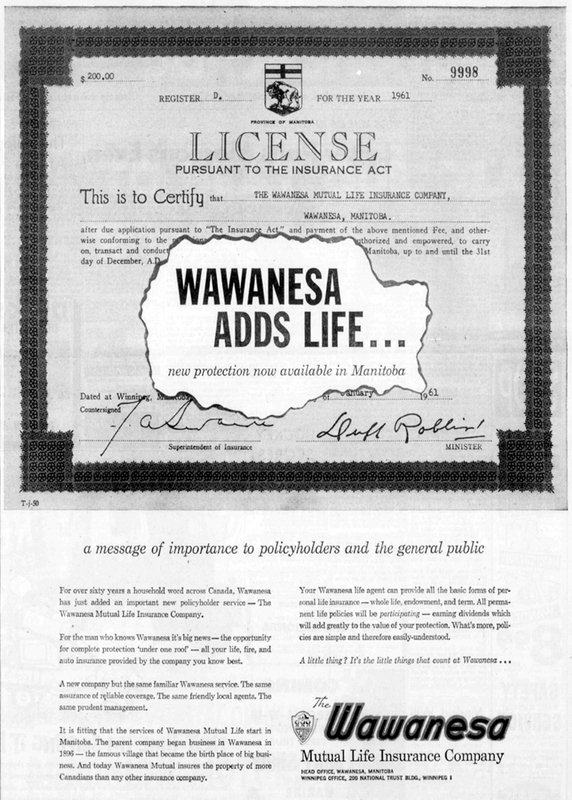 Wawanesa obtained its license to sell insurance in California — a market as large as all of Canada — and became the first Canadian general insurance company to successfully enter the United States. 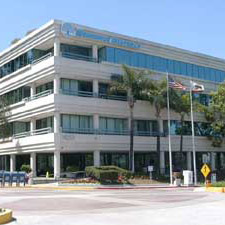 The San Diego office opened in April 1975. 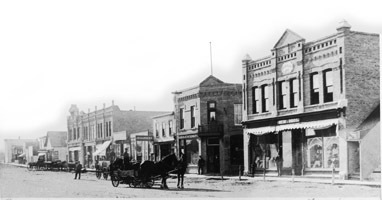 In its first month, it wrote 102 policies. 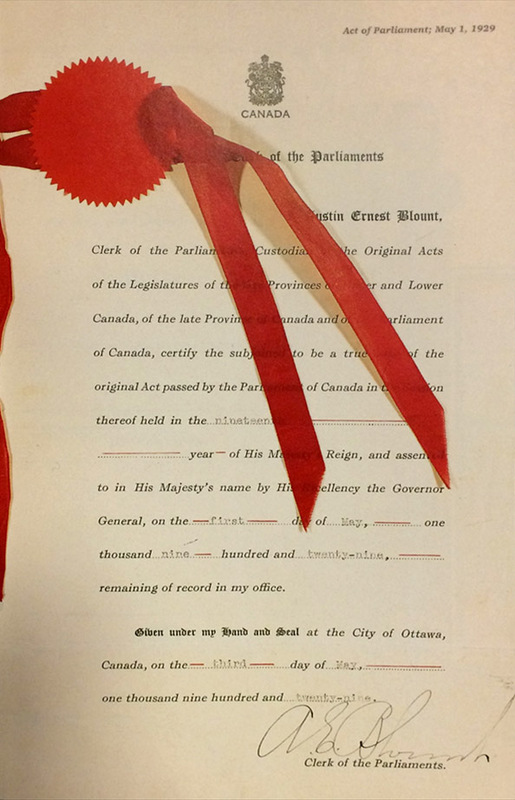 With the expansion to the United States, and continued prosperity in Canada, executive office functions required larger, modern facilities. 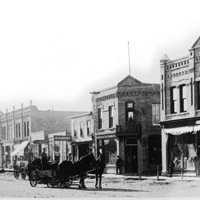 Wawanesa moved its Winnipeg-based executive office to a newly constructed building on 191 Broadway, where it continues to stand today. 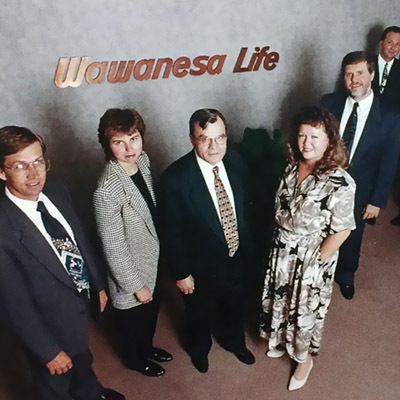 The Wawanesa Mutual Life Insurance Company was converted into a wholly owned stock subsidiary of the older, general insurance company, a move which streamlined operations. 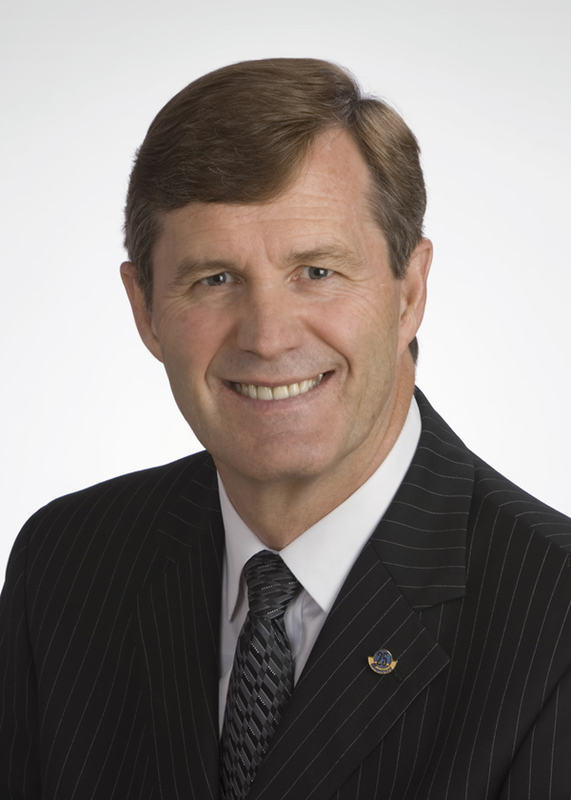 The new structure clarified the relationship between the two companies, and created better mutual support. 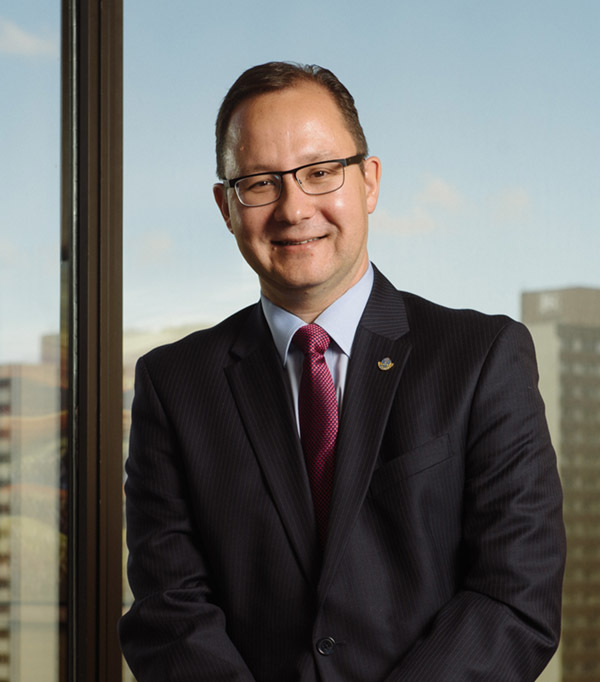 Wawanesa embarked upon its second century of service, with some 1,300 employees and a time-honoured partnership with a similar number of independent brokers. 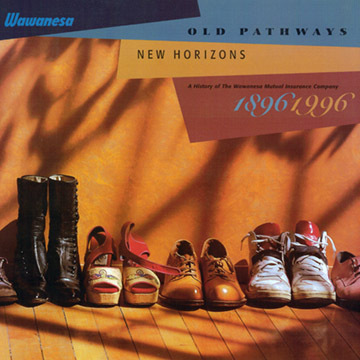 Wawanesa published Old Pathways New Horizons, tracing the history of The Wawanesa Mutual Insurance Company from its inception in 1896 to 1996. 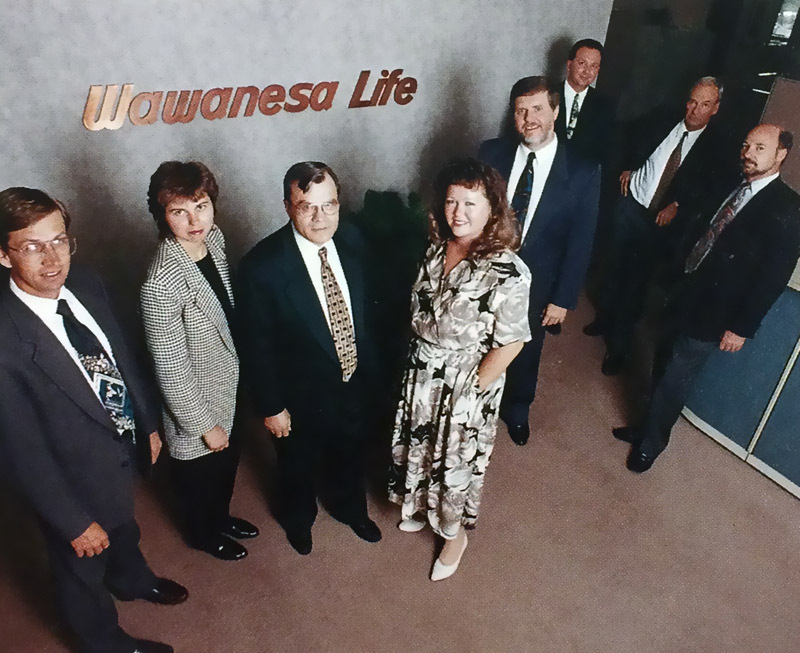 Wawanesa's assets exceeded $2 billion by 1996, only six years after hitting its first $1 billion. 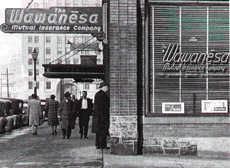 Wawanesa continued to grow in the United States and began offering automobile insurance policies in the state of Oregon. 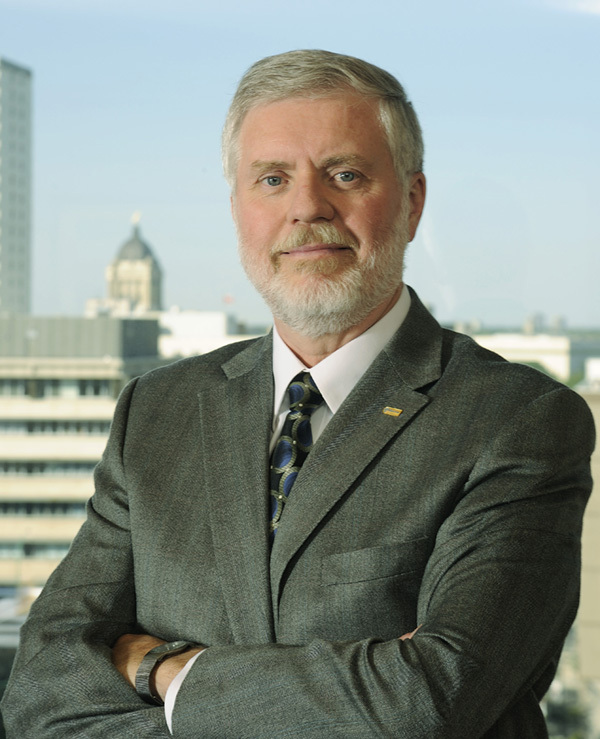 The Wawanesa Group of Companies now employs over 3,500 people in Canada and the US. 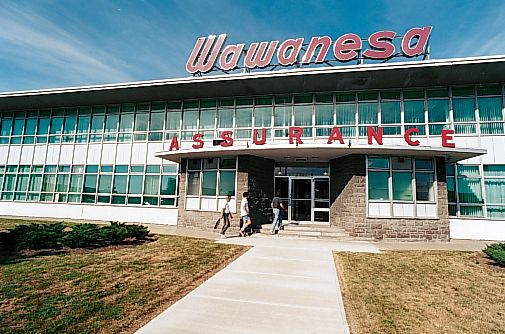 With assets of over $9.5 billion and over two million policies inforce, Wawanesa has assets exceeding $9.5 billion and over two million policies in force, Wawanesa is one of the top 10 largest property insurers in Canada. Timeliner by Tarek Anandan, version 2.x+, is licensed under a Creative Commons Attribution-NonCommercial-ShareAlike 4.0 International License.